One can easily fall into the trap of thinking that the life of a wine communicator is an endless parade of hedonic experiences, in the fine settings of winery tasting rooms, with unfolding views of neat rows of vines, or snow-capped mountain ranges. Nice restaurants, even. The occasional pick nick with vineyard workers. Well, it does not always come like that. Being on the move, one has to strive to accommodate the workload of a host of other professionals, in what ends up being rather long days. On a recent update with ampelographer Kostas Bakasietas, the best he could do to accommodate my flying visit in Nemea was 8:30 in the evening for a supper tasting. Translated into Greek time, this means sitting down at 9:15 – hardly the ideal time to taste. Thankfully, the Argitiki grill house has proper wine tasting glasses. The crowds had not arrived, and it was a smoke-free environment. Bakasietas brought to the table a portion of his 12-year-long clonal research from diverse regions. These were micro-vinifications of the 2014 harvest from a bevy of clones he had planted in his vineyards in Nemea. He kicked off with two Cretan specialties: a floral, spicy Vilana, followed by a vibrant Plyto. Both hitting typicity and a notch above in character. What followed was six clones of Moschofilero. This was like opening a new window. They were all different, and all offered more gravitas. It got my second wind going, making me really focused. Aromatics were varied. What stood out was structure and interesting tannins offering a spine we do not see in the current wines coming from the Arcadian plateau. It makes one sit up and think that there is a whole new world out there. Virus-free, healthy planting material is invaluable. Yet, nothing gave away what was about to happen. Another Cretan specialty, red this time, a Kotsifali. Pale-coloured. The aromatics and soft seductive tannins, followed by a haunting aromatic complexity on the palate, were simply beyond words. I sat there speechless. This was a whole-body experience, such as when first tasting a Mazis Chambertin. Epiphany. Kostas is serious, hard working and modest. His face was glowing with satisfaction. Eventually, I collected myself and landed back or terra firma – well, almost. On my recent time on Crete, there was no hesitation in keeping Kotsifali on my dark-horse shortlist of red grapes. That gut-driven feeling that there is something going on here. 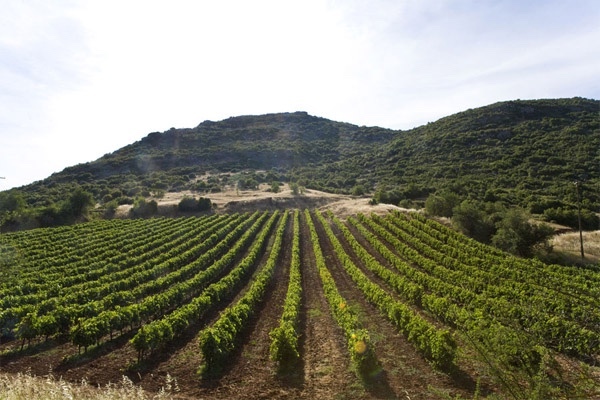 Just taste recent vintages by Douloufakis and Lyrarakis. Yet, nothing in 23 years of covering Greek wine had prepared me for this moment. If planted in the right place and farmed, as it should be, according to the modern know-how, this is the next great international grape. Above Assyrtiko. That good.